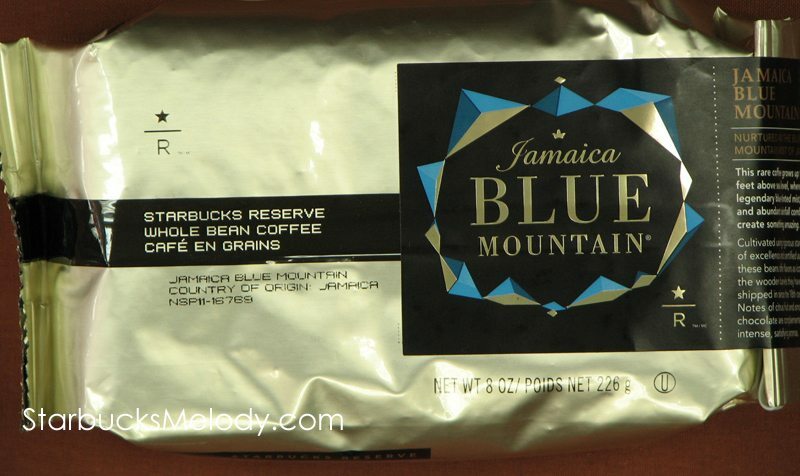 Jamaica Blue Mountain coffee returned to Starbucks on July 12, 2011. This Reserve Coffee offering has flavors of citrus and chocolate, and is considered to be an exquisite offering. I had intended to write about it sooner but Starbucks has given me tons to write about this month! I fear that the supply of this coffee might now be limited. If you are wondering where to find this coffee, just go visit your local Clover Starbucks store. Right now there are (very roughly) about 200 Starbucks Clover stores in the United States. There are also a few Clover stores in Canada. You can use the store locator at Starbucks.com and search by Clover. I maintain a list of Clover stores also – it is not complete but it does include a number of links from when I have visited Clover stores and written reviews of those locations. I heard a funny story from a partner at 15th Avenue Coffee and Tea Starbucks. 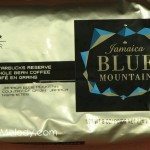 Apparently a customer asked, ‘Why doesn’t Starbucks offer Jamaica Blue Mountain year-round?’ To which the barista quickly replied, ‘Jamaica is very small country.’ Therein lies the reason all these coffees are limited and promotional: Small growing regions. And 200 stores is actually a lot of stores to supply a very small batch of single-origin coffee to. So please weigh in if you like this coffee or have any thoughts on it. Curious question and maybe it has been answered before- Why can only some of these coffees be offered only where there is a clover? These coffees cannot be brewed otherwise? Or is it purely a cost and demand issue? they are offered in stores apart from ones with the clover–there are a number of “reserve” designated stores, which sell reserve coffees but do not have a clover. they are still chosen based on a whole bean coffee sales perspective. maybe last year was an even more limited rollout? Do the Clover stores offer Trenta Iced Coffees from the Clover? I had a Clover of this Blue Mtn last week (hot)…. it was ok to me, but tasted too citrus-y for my liking. And I would ONLY pay $30./half pd for something I thought was truly exquisite….as in Yergacheffe. This is way way over-priced, in my opinion. But, that’s all relative, too! I’m glad I tried it…or I wouldn’t know…. (and used either a treat receipt or ‘sweet15) because I would’ve been too disappointed had I spent cash money on it! I’m looking more fwd to trying the “Kenya……” (whatever it is) which is out now. I’m thinking I might like that much more than the Blue Mtn. big disappointment for me. I tried it the week before it and the iced coffee/VIA Iced coffee launched. We also did two tastings that day in the store with customers. We sold all of our bags before it even hit the shelves. Aside from my favorites Verona and Sumatra, I’ve never savored a coffee as much as this one. The flavors were a kick in the palet. Maybe it’s the mist from the mountains or maybe it’s from being shipped in wooden crates, but I suggest that if you were going to splurge on anything in the future, grab a bag. The two stores I’ve been in this week that had reserve coffees were both sold out of the Jamaica Blue Mountain. They had it for sale but didn’t have any to brew. Based on a barista suggestion I tried the Kenya Tenya River (I think that’s what it’s called?) and it was delicious. I’d still like to try the Sumatra (I can’t remember what it’s called), maybe today sometime. So glad this one’s back. I only tried it hot and like @denise r, didn’t think it was the best. I really wanted to try it iced but it was gone before I got to try it iced last year. And your tip for using the treat receipt is a great one – I honestly would have never thought of that. Too bad that the Jamaica Blue is not being offered online this year. It was last year and I ordered two bags. Took one of the bags into my favorite Starbucks and we had a tasting. I left the bag so the afternoon and evening crews could have some. To this day the ol’ timers who are still at the store remember that experience and when a new partner comes to this store I am introduced as the great customer who brought them Jamaica Blue. I always bring in a bag of the new reserve releases as they become available online–fun is had by all out here in the wild remote SE corner of Washington State. @DadC…I used to do the same before we had Reserve around here…or, I should say, before we lost the “Black Apron” coffees. I heard today that our dm and rdm and a few more corp. folks were there and there’s talk of how to revamp the ‘drink-making’ process……AGAIN!!! I asked: were the (or any) baristas who actually MAKE the drinks involved in this planning and was told no. of course not (that’s my add on) As usual, corporations almost never seem to PLAN newness with the people who actually use it. crazy. I was somewhat disappointed with it. I never tried the JBM before it came out at the Clover Store. I wouldn’t say it’s a bad coffee, but I thought it lacked flavor and I felt like I was drinking a $5 (for a grande) version of the old Lightnote. The Papau New Guinea Arokara blows the JBM away IMO. @denise – Maybe I mentioned it here or msi, but the Rwanda Gakenke reminded me somewhat of a wee bit bolder version of Gazebo Blend. I was never a fan of Gazebo Blend, but I thought you mentioned you were. You may want to try that in a Clover. The Kenya Tana River was pretty good also, especially that light cherry taste at the finish. JBM was my first Clover coffee – I got it iced with my treat receipt. It was honestly the best Iced Coffee I’d ever had and I look forward to trying other coffees on the Clover as I’m in Princeton. Incidentally Melody, if you are updating your Clover list, you can add this store – http://www.starbucks.com/store/15915/ as they recently got one. @Chgo: I did have the Rwanda a couple times….agree with you, now that you mention it (about Gazebo) We had it made for us iced from Clover when we were visiting there (as a ‘taste’) but they made it the color of pale tea which was (clearly, no pun) all wrong. Melody pointed out (later) that apparently they didn’t use the “iced” setting on the Clover… there seemed to be quite a few novices when we were there (but all very nice and doing their best!) I did let the dm later know about the Clover issue. I am looking fwd to the Kenya, I really think that will suit me much more than the Blue. It’s interesting that the price actually went down. You don’t see that very often right now with the way the coffee market is going. I know it isn’t a commodity coffee, but still that’s kind of unusual. I would love to know the story behind that. I’m way behind in answering in my own thread. Mike, I have to assume that last year they way overpriced it, so this year, they’ve corrected the price. @Kitenarie – I need to go through and do some updates to that link. I’m missing many stores. Not enough time. Our ‘Area’ has only 3 Special Reserve stores and 0 Clover stores. Without my DM visiting one of those to purchase a half pound for a tasting for our district, I’d never get to try the coffees. They’ve sold out of the various offerings on the first day every time a new coffee comes out. Just shows that even though we’re in the middle of Frappuccino country, there are a few brewed coffee aficionados like me!